GrubHub or Seamless – and if you’re in Europe, Just Eat, DeliveryHero, HungryHouse and many others – is, as we all know, something of a guilty secret. On demand food ordering has exploded in recent years. But trying to pick the healthy option is rarely that easy. Step in Hasty, a new bootstrapped startup which is starting in San Francicso first but hopes to expand in the US and internationally. To join the waiting list for the private beta of the ‘takeout and delivery’ iPhone app, visit the site. Instagram’s lead designer, Tim Van Damme, happens to be an advisor to the company. There are 200 private beta invites for TechCrunch readers via this link. It’s very simple. You use the app to order healthy food from a curated set of local restaurants, prepared your way, and delivered via the restaurant’s own takeaway service. Hasty gets a cut of the transaction and the restaurant gets to tap a very discerning customer interested in (probably) higher cost dishes. The startup has worked directly with restaurants in SF to ensure no MSG or additional sugar is used along with minimizing salt and oil. They look for the healthiest and tastiest dishes on any menu, calculate the nutrition facts for each dish, and take high quality photographs of each dish, then put it into a good looking app. 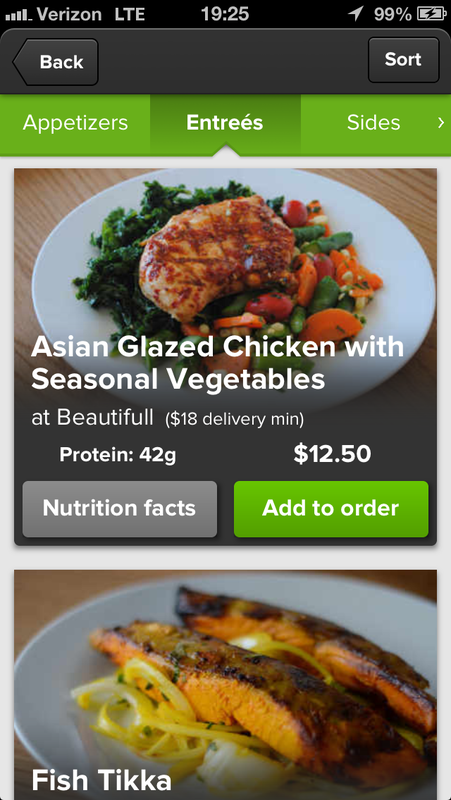 You can order based on dietary preferences (e.g. paleo, low carb, gluten free) from a curated set of the best and healthiest restaurants in a given city. The startup claims that early testing has seen users migrating from other food ordering apps and ordering 2-3 times per week. They are tapping a section of the $250 billion takeout and delivery market in the US, which has yet to wake up to healthy fast food in much volume, and is subject to – pretty legitimate – attacks from health campaigners. Hasty is founded by Oxford graduates David Langer and Chris Hollindale. Previously Langer founded GroupSpaces, the UK-based membership software company that was backed by Index Ventures and today hosts around 5M members. Hasty is being advised by Van Damme and Jude Gomila, co-founder of Heyzap.